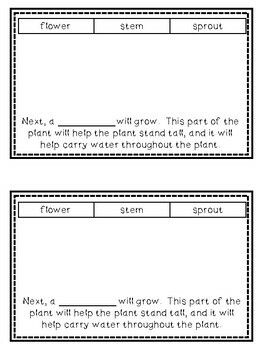 One version of Plant Needs... - a mini-book that includes a word bank on each page. Students fill in the blank and illustrate the page. When the book is finished, students can practice reading it! 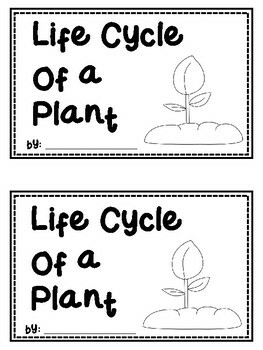 Two versions of Life Cycle of a Plant - a mini-book that includes a word bank on each page. Students fill in the blank and illustrate the page. When the book is finished, students can practice reading it! One version has more complex text that focuses on the plant life cycle and the function of the plant parts. 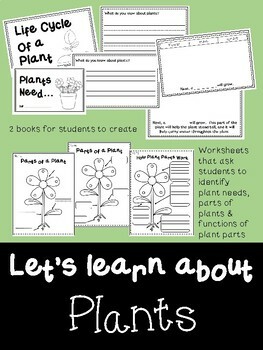 One version of How Plant Parts Work - a worksheet where students explain the function of plant parts. 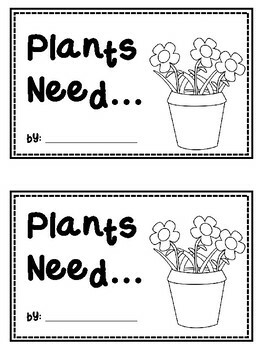 One version of Plant Needs... - a worksheet where students cut and paste the needs of plants into the boxes on the page. I hope this bundle makes your plant unit fun for your students and easy to plan! Please check out my store for more activities for your classroom. Happy Planning!